All women dream about having smooth skin.There are many options in order to have properly epilated legs,but my favourite one is the epilator. 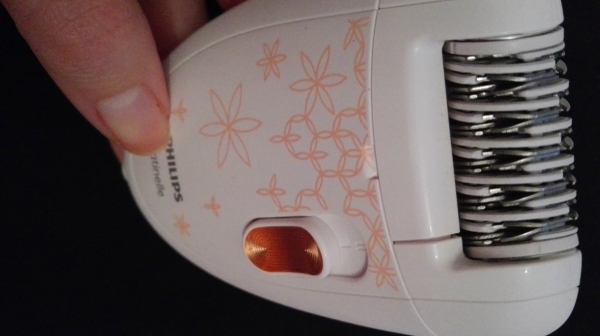 Today I will share my opinion about the cheapest and probably the most effective epilator I have ever used:Philips Satinelle Epilator HP6420/00. I purchased it online last year and the price was really good.Only 30 Euros for a compact epilator.It has two years guarantee. I only buy Philips epilators as I do trust this brand,but this one is by far the best one. When I was younger I was a fan of shaving,but after I discovered epilators,I decided it’s too annoying to waste time every day to use a razor blade. I do love this Philips epilator because it has the capacity to remove even hairs as short as 0,5mm.I really like that it removes the hair from the root,not cutting them at the surface of the skin. 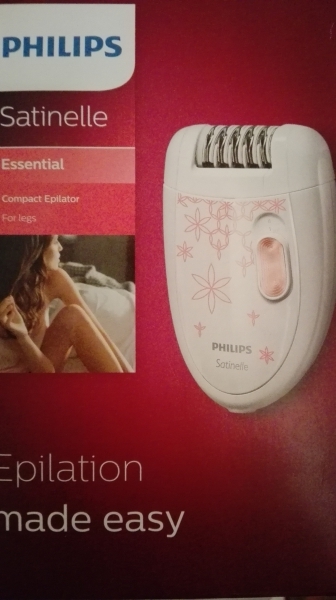 There is a general rule that all epilators are painful.I will not say that using this kind of device you will not feel any pain,but using the Philips Satinelle epilator you can be sure you will not cause any injuries to your skin.The gentle tweezing discs remove hairs without pulling the skin. Of course,the epilation process is not a pleasant one,but you have to keep in mind that if you choose this method you will have smooth skin for more than one month.Moreover,studies revealed that hairs will be fewer and thinner. 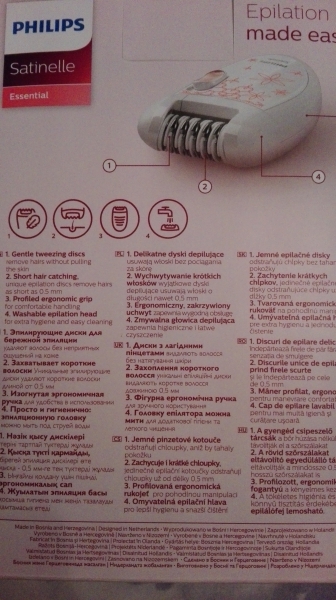 Philips Satinelle epilator has two speed settings. If you have never used an epilator,I higly recommend you to start to use the first speed setting as it is milder and not so painful.After you get used to it it is advisable to use the second speed as it is faster and more effective. 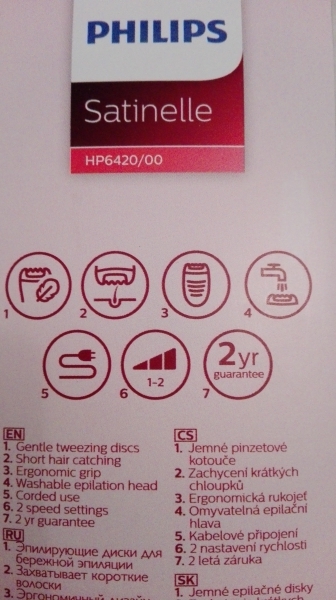 When buying an epilator you have to pay attention to the number of tweezers. The more tweezers it has,less time you will spend for epilation process.The epilator I am reviewing now has 20 metallic discs which makes it perfect for a rapid epilation. Hygiene is the most important and with Philips epilator you don’t have to worry about it.You can easily remove the epilation head in order to wash it. Moreover,in the box you will find a little brush that helps you to keep your device always clean. I would recommend you to have your own device.For your safety,don’t share it with anyone. The epilation process can require not only a lot of time,but also money. This is why I do believe that the best option is buying an epilator. You can find a very good one and keep it for few years.You pay only once about 30 euros and then you don’t have to worry about epilation. Razor blades may seem also a good choice as they are painless,but the result will last only one or two days. 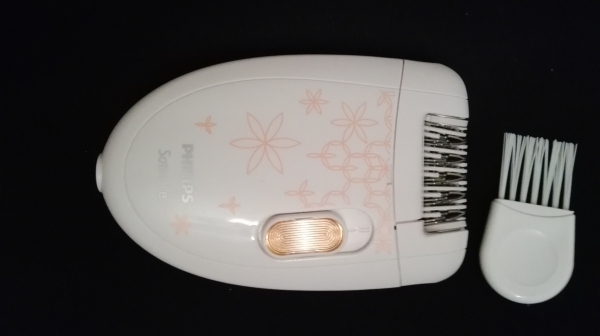 When using an epilator your skin will be soft for a month and the hairs will grow thinner. There is only one thing I do not like when using this epilator:the noise.Although it is such a small device,it makes huge noise. This is the only down side I can find. All in all,I do believe that this type of epilator should be a MUST HAVE for all women.It is really cheap and it works perfectly.Your skin will feel smooth for more than one month as it removes the hair from root. The epilation process is fast and will not leave your skin irritated.